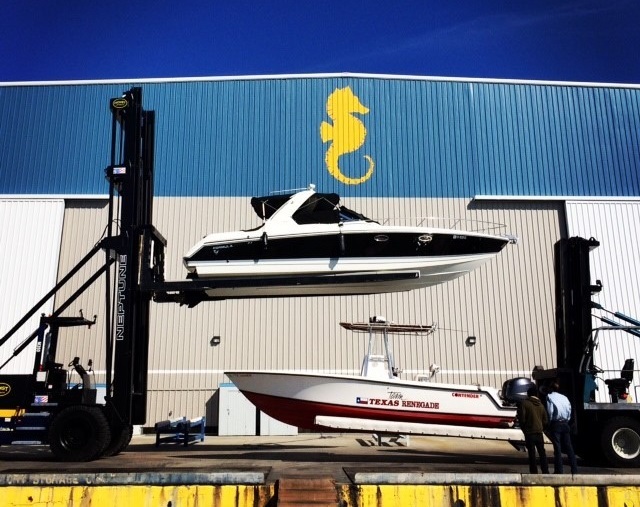 The Galveston Yacht Basin ("GYB") is one of the largest wet slip marinas on the Gulf Coast. It is located within the region's largest MSA and provides immediate access to the area's most popular fishing grounds - the Intracoastal Waterway and the open waters of the Gulf of Mexico. The marina currently consists of 455 wet slips and over 300 dry slips in a newly constructed dry stack storage facility. GYB also features a yacht service facility, fueling station, office, sundry shop, guard house, and an 8,000 square foot clubhouse with caterer's kitchen and walk-in coolers. The newly renovated clubhouse regularly hosts events for regional organizations, fishing and boating clubs, local businesses, and political campaigns. GYB is directly adjacent to the University of Texas Medical Branch at Galveston ("UTMB"), which has over 11,400 employees and over 3,100 students. UTMB is in the middle of renovation plans totaling $1.79 billion, which is the largest reconstruction plan in the history of the University of Texas system.